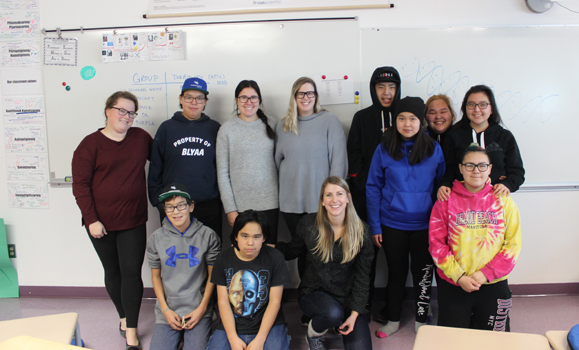 Last fall, Nicole Bell and two fellow graduate students in the Civil and Resource Engineering department at Dal organized a youth science workshop in Baker Lake, Nunavut. The idea for the workshop came during a discussion Nicole had with her supervisor, Dr. Rob Jamieson, about potential projects in Northern Canada. Nicole received the Aboriginal Ambassadors in the Natural Sciences and Engineering Award from NSERC. The award is presented to Aboriginal students in science and engineering disciplines to promote interest in science and engineering in Aboriginal communities. The project, organized and executed with classmates Jenny Hayward and Audrey Hiscock, also received support from Agnico Eagle Mining Ltd.
“I have always been interested in working in the North,” says Nicole, who is of Inuit background and hails from Labrador. Previously, when she was an undergrad, she spent some time in Northern Labrador as a Co-op student. 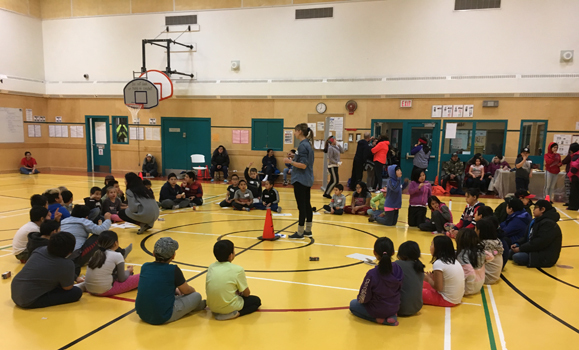 The workshop, Go with the Flow: Water Science Workshop was held in Jonah Amitnaaq Secondary School and Rachel Arngnamaktiq Elementary School for students in Grade 8-12. The students participated in different fun experiments which taught them the basis of water purification, water quality, DNA extraction, and biodiversity. Nicole observed that the students were excited to participate as they competed with each other to make the most efficient water filter and to most effectively clean muddy water. Although Nicole’s primary purpose was to show the students some interesting experiments, she also wanted to present that science is a viable career option. “Doing something like this for a small community, I really wanted to drive home the fact that there are really good opportunities in scholarships, and places in university you can go to to study these scientific topics, like water hydrology,” she says. In total, over 100 students in the community participated in the water workshops. The high attendance suggests a need for such programs in communities were they are currently unavailable. Nicole hopes that some of the students would be inspired or at least interested in pursuing a career in science after high school.